Facebook might seem different from other traditional market entities since it technically doesn’t sell anything to the bulk of its users. But just like Sears and Blockbuster, its success relies on its ability to attract and maintain its customers. And in the wake of the recent purges—and its recent security breaches —it is quite possible that, like Myspace and Friendster, Facebook is not long for this world. 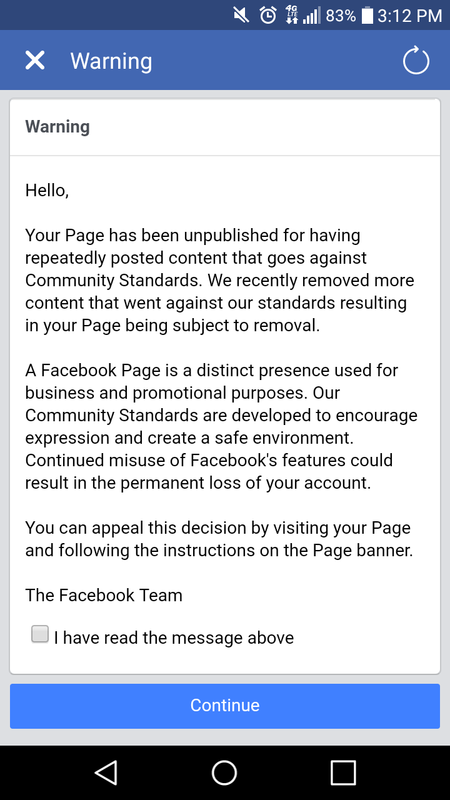 However, the fact remains that many of the deleted pages were right-leaning and libertarian, leading many to assume that these purges were politically motivated. And given the prior accusations  made against Facebook in regards to suppressing conservative-leaning links and news stories, these assumptions did not seem off-base even if Zuckerberg claimed that content was not a contributing factor. Facebook has not had a great couple of years. In addition to being blamed for both the suppression of conservative links and Trump being elected to office, the popular social media site was also found to have compromised its users’ data  on more than one occasion. And while the decision was voluntary, Zuckerberg also found himself testifying in front of Congress just a few months ago. And on the business side of things, market shares have slumped 7.5 percent over the year. Minds , Telegram , Steemit,  Mastadon , and other burgeoning social media companies are looking to blockchain to not only keep private user data safe but also to keep the networks decentralized and safeguarded against the same type of censorship we have seen coming from the authority figures in charge of Facebook. But in order for any of these platforms to take off, they will need early adopters and users willing to build a modern social network that has learned from the errors of its predecessors. This article  has been republished with permission from Foundation for Economic Education.